iWire Networks, Inc will do what it takes to get your job done right, on time, and on budget. 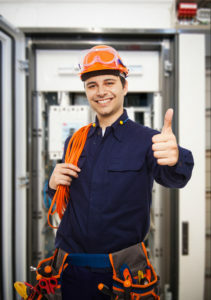 We know that satisfied customers are what makes us one of the most respected cabling contractors in the industry. We have been providing superior cabling installations and services that are cost-effective, and practical solutions since 2017. We serve a wide variety of businesses in the greater San Francisco Bay Area, Silicon Valley regions, and specialize in the design and installation of commercial networking and telecommunications systems. We also offer commercial camera surveillance systems and WiFi implementation projects. A state licensed contractor (CA Lic# 1032002). iWire Networks, Inc delivers guaranteed performance on your high-speed data network and prepares your data infrastructure for future growth. Our team of dedicated professionals offers a robust and broad range of knowledge and experience. We focus on mission-critical details of your business, along with the specific technologies that will ensure the success of your network implementation today and into the future.